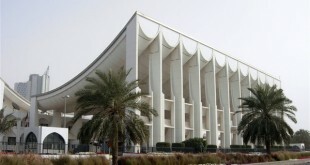 KUWAIT CITY, April 30: Speaker of the National Assembly Marzouq Al-Ghanim said Tuesday’s session will begin with topics on the agenda followed by queries to the ministers and grilling requests. He expects the Parliament to deliberate on the three interpellation requests until dawn or early Wednesday morning. If the quorum during Wednesday’s session is not complete, he will adjourn the session. 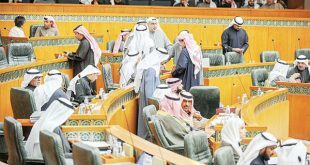 The interpellations will begin with the Minister of Oil, followed by the Prime Minister, who will be grilled until midnight, and then the Minister of Social Affairs and Labor, whose grilling may extend until Wednesday morning. 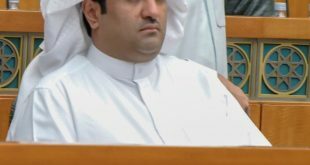 Meanwhile, MP Shuaib Al-Muwaizri has called on his colleague Hamdan Al-Azmi to file a no-cooperation motion against the Prime Minister during Tuesday’s session. He added, he will be among the signatories if not the first to sign it. 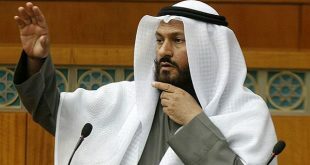 He stressed the Prime Minister, Sheikh Jaber Al-Mubarak has formed seven governments and the situation of the country is going from bad to worse. He added, he will also be the first to sign the no confidence motion against the Minister of Social Affairs Hind Al-Sabeeh. 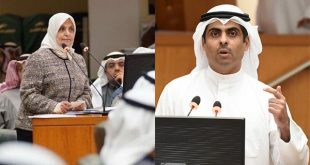 On another issue, MP Saleh Ashour forwarded a query to the Minister of Social Affairs and Labor, Minister of State for Economic Affairs Hind Al-Sabeeh about the United Nations Development Program (UNDP) and United Nations Industrial Development Programs (UNIDP) and appointments of managers at the Public Authority for Manpower. 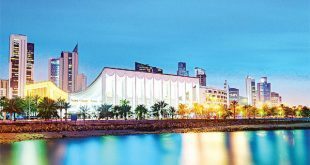 He also wanted a list of Kuwaiti and non-Kuwaiti consultants appointed at the UNDP and UNIDP complete with names and their nationalities, remunerations, date and duration of the contract, the academic qualification and specialization. In another question, Ashour said there is a report that some current managers at the Public Authority for Manpower do not meet the conditions for promotion for the post of director. He asked the minister to provide him a copy of the decisions on the appointment of the current directors at the Public Authority for Manpower before they are assigned the jobs mentioning their previous job titles. In yet another query, Ashour said reports indicate that the Public Authority for Manpower has signed a contract to provide services to business owners, small and medium enterprises and anyone who has a file with the authority, and if true he wants to know all the details thereof. Furthermore, the Legislative Affairs Committee during its Monday meeting discussed bills on the General Directorate of Investigations. 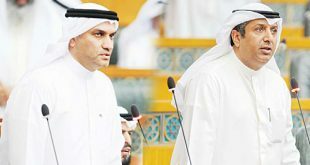 The committee chairman, MP Al- Humaidi Al-Subaie, said in a press statement the proposals have been integrated into laws of the General Directorate of Investigation in consensus and cooperation with officials in the Ministry of Interior. He added the main bills focus on promotions on seniority basis taking into account the efficiency. The end of service benefits for retirees in the directorate will be equivalent to two years salary and the pension should be 80 percent of the last comprehensive salary.